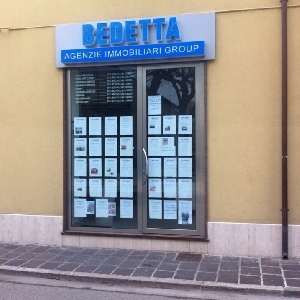 Agenzie Immobiliari Bedetta & F. S.R.L has been working on the Italian real estate market since 1980. Our reference zone is the region of the Marches and we work at the national level thanks to the solid basis developed during our more than 30 years of experience in the real estate sector. With our agencies in Civitanova Marche, Porto Sant’Elpidio e Porto San Giorgio, the Bedetta group is well present in the Marches. We cover a big part of the region and we have the possibility to offer to our clients a huge choice of property offers. The current offers confer us a significant dimension in the Italian real estate panorama. The real estate agencies Bedetta do careful market research in order to make a better investment, comparing the value of the real estates, the purchasing costs and the yield values. We also offer a perfect assistance service before and after the sale, so that our clients feel protect during all the phases of their investments.